I am planning to get Yumi a digital piano for Christmas. She has been playing since she was young (she is used to an acoustic piano). I have an old Casio PS-20 (https://www.musiciansfriend.com/keyboards-midi/casio-ps-20-88-key-digital-piano) from 2002 which does have hammer weighted action but I am sure the technology has come a long way since then. I was looking at the Yamaha Arius 163B since I have heard good things about Yamaha. I listened to both this one and the 143 and this one certainly had a better sound. Anything that might be better to look at without completely breaking the bank? 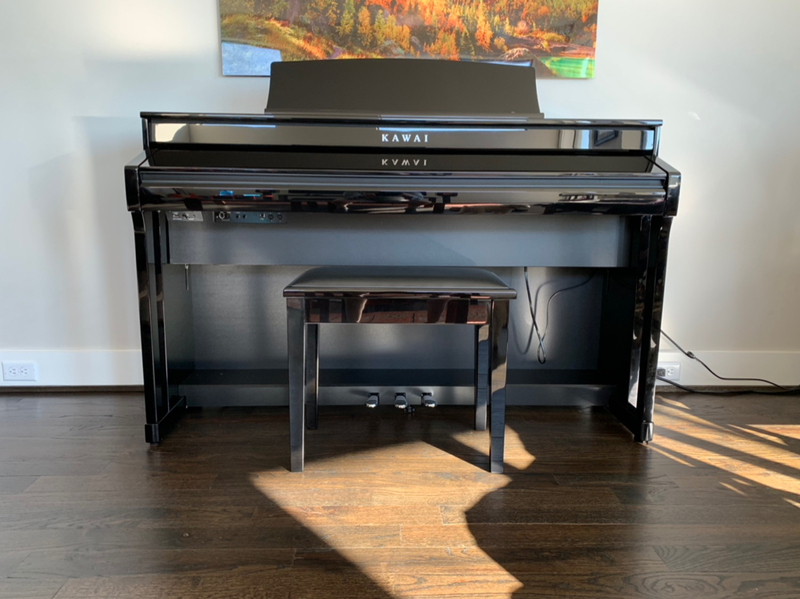 Is it worth upgrading to the Yamaha Clavinova 625? Will it be hooked to a computer? You should find a local kawai dealer and try those. First of all, kudos to you for encouraging her. Does she play the Casio? To a pianist, it’s all about feel. To be honest, the Clavinova sounds like an upgrade, but Sweetwater have a fantastic return policy, so if you want to combine surprise with actually satisfying her desires, get her one and tell her the other is an option. If you’re not going to surprise her, then by all means, get her to try them out. Just because I say it sounds like an upgrade, doesn’t necessarily mean it is one. I’m personally of the opinion that it takes a very good piano to be better than the best digital pianos, and digitals are a lot easier to keep in good condition. That said, if you can find a kawai, yamaha, or comparable full sized upright, it might also be a good option in a similar price range. https://www.pianoworld.com is where I go to find out about individual pianos, digital and analog. While probably true, still depressing. +1 on Kawai. I have both a Yamaha and a Kawai at home; the lighter Kawai action is preferable. While it may be true for Dan, it may not be true for Yumi. It all depends on the requirements and priorities. It certainly isn't true for me. But other requirements may come into play for Shelly, so I'm not saying that to negate what Dan says, just offering another opinion/data point. Have you tried the new high-end Kawai, Yamaha, Roland, or Nord pianos? They’re pretty amazing. The kawai mp11 has the same action as their $20k grand for example. No room for real piano or keeping it in tune and this will be on the third floor. The Kawai keybeds are very close to the feel of a proper piano. If I had the duckets, I'd have an Mp11 and keep using my Hammersmith Kontakt samples (there are plenty of equally great piano libraries out there and this is simply the one I use). I was looking at the Kawaii CA58 and it seems pretty awesome. What is a good sturdy sound for the MP11? No speakers on the MP11, what type of speakers to use, where to place them? How does the MP11 compare to the Roland FP-90 (the FP-800 doesn't seem to be around anymore). quick look says the mp11 and ca58 have basically the same action. The mp11 is mostly for people who will be playing on stage or portably, so it doesn’t have a big advantage for you guys. I’d favor kawai’s’ integrated systems if the price isn’t a barrier. They do a pretty amazing job of integrating, and use an actual piano soundboard for their resonance, so it feels right. The FP90 is a VERY highly regarded piano. I wouldn’t rule it out over something else for someone else. I don’t think it’s a bad choice. If you’re buying new, dealer matters, so go with the dealer you trust for either. I agree that touch is a BIG part of it. I haven't tried many electric pianos but the ones I have tried didn't seem to match the touch of a real piano. And I favor a stiffer action, like a concert grand rather than the soft ones that a lot of upright pianos have, because a too-soft action makes it difficult to get a good pianissimo. Actually when I was shopping around for a piano the best action I found was on a 7 foot Fazioli - that piano made me sound better than I know I am - just couldn't afford one. Ended up with a Falcone - the original made near Boston, not the Sejung made ones. 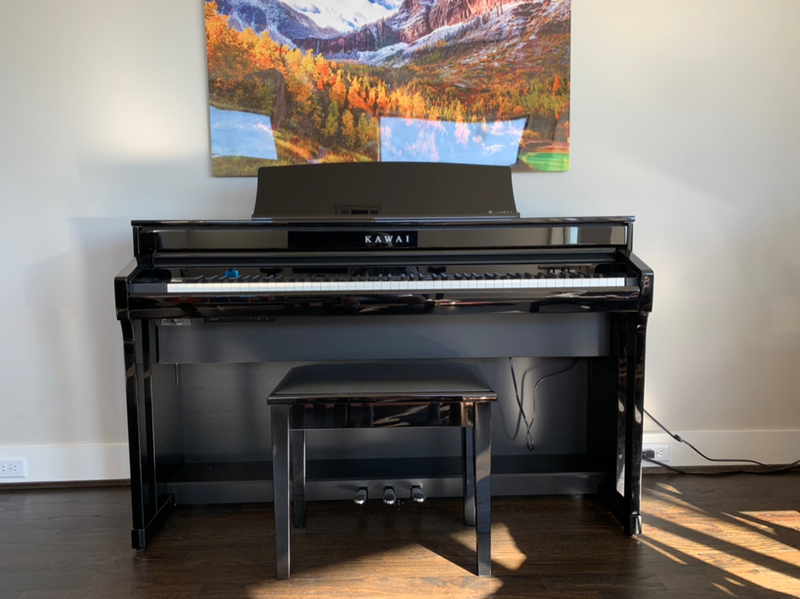 Kawai CA78 - just got it set up yesterday. This thing is heavy but we got it to the third floor. It’s leaps and bounds better than my old Casio PS20. Look like you finally forked out the 500 extra Just wonderful, I wish Yumi loves it and plays a lot on it for your delight. Yumi had to work until 11pm last night so it was set up when she got home. Hopefully she'll get some time to play it tonight before we leave for Cal/Col. Thanks for the recommendation. The Kawai dealer here was awesome and great to work with.